PNS Moawin is the biggest warship ever constructed at Karachi Shipyard. 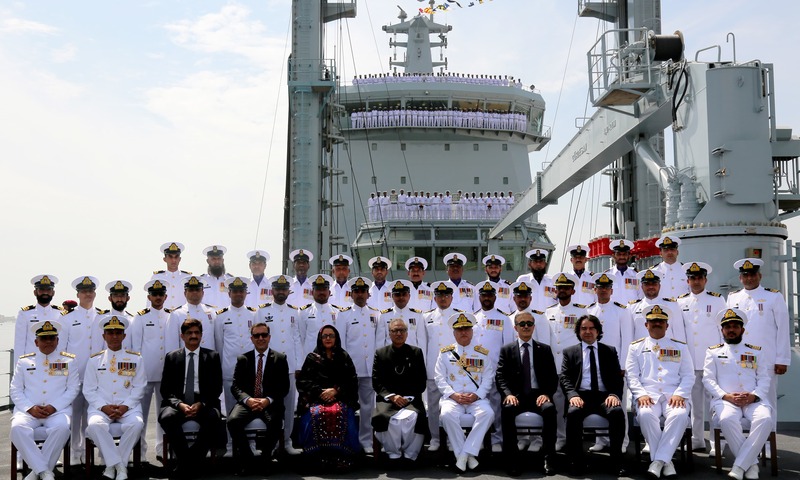 Pakistan Navy on Tuesday commissioned an indigenously built 17,000-tonne fleet tanker named PNS Moawin to its fleet during a ceremony held at Pakistan Navy Dockyard in Karachi, which was attended by President Dr Arif Alvi, Sindh Chief Minister Murad Ali Shah and Naval Chief Admiral Zafar Mahmood Abbasi. According to a statement issued by the navy’s media wing, PNS Moawin is the biggest warship ever constructed at Karachi Shipyard. 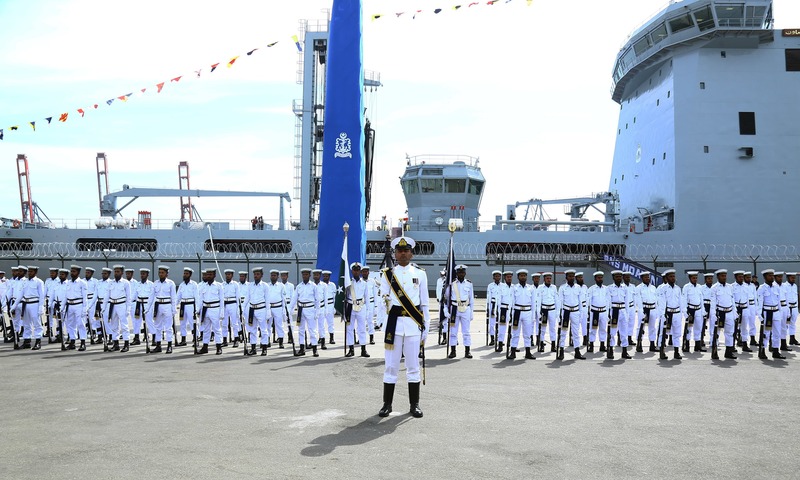 The newly inducted ship is “capable of performing a variety of maritime operations including the provision of logistic support to other ships at sea by transferring fuel and other important military cargo”, read the statement. “PNS Moawin can transport two helicopters. 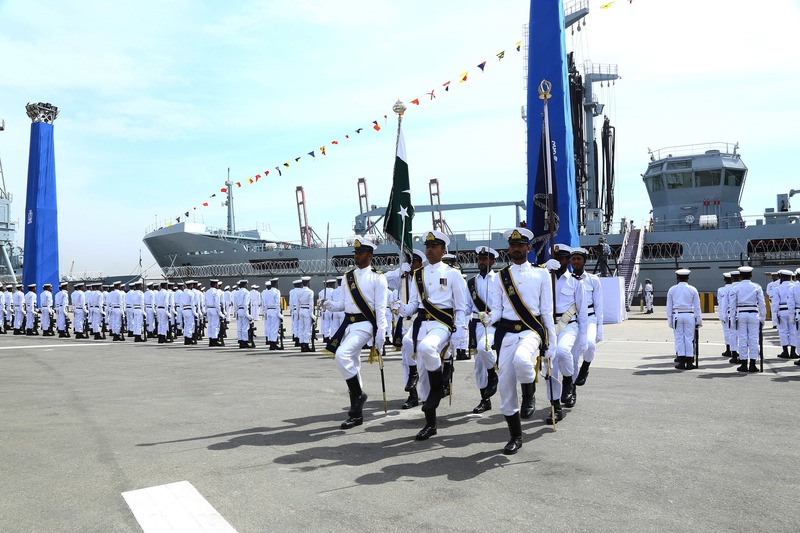 The ship is also equipped with state of the art medical facilities and can provide overseas support to friendly countries during any humanitarian assistance and disaster relief,” the navy’s media wing said. 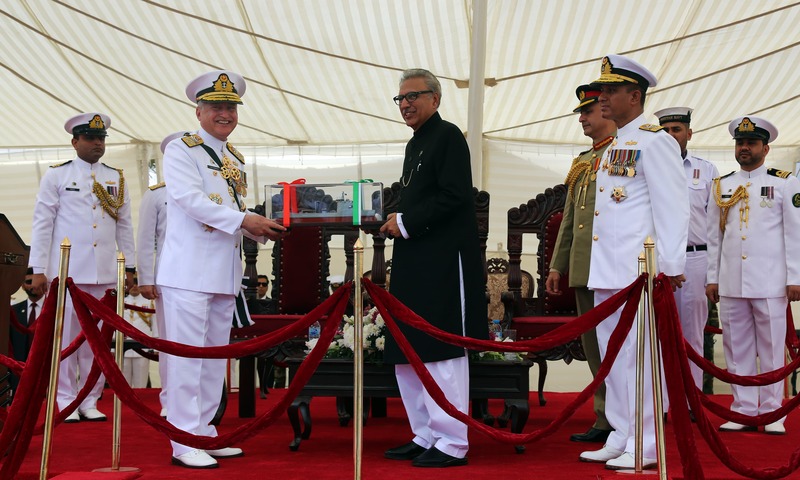 While addressing the ceremony, President Alvi said the development of the maritime sector will enhance the country’s exports, generate employment and increase foreign exchange. 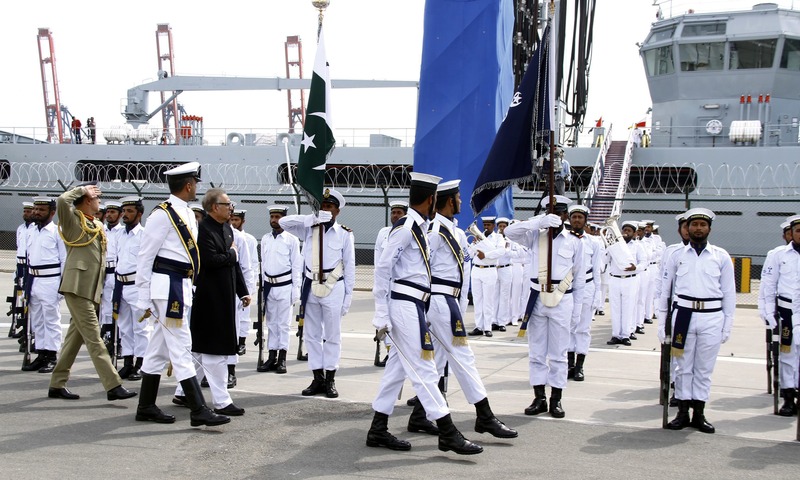 “With the realisation of China Pakistan Economic Corridor (CPEC), the maritime trade and activity off our coast will increase manifold which calls for a strong navy to provide security and seaward defence,” the president was quoted as saying. How a tanker be warship? Well done Pakistan Shipyard. We are proud of our Navy, though comparitive smaller but a quality force. Well done PN. However, please inform us of the cost, including percentage for FOREX component. What is the cost as compared to imported one. regards. A very encouraging news. It is almost 50 years since last ship was built at the Karachi Shipyard. Pakistan must industrial the country and try to produce every thing of its need in Pakistan. This is the way to reduce imports to minimum and save money, increase employment with in the country.and self reliance. Very well done... Congratulations. What nice pictures.... Lovely. Well, it is a first step in the right direction. Once you mastered the art of building ships then you can start focusing on building warships. One step at a time...good job Pak Navy! A tanker is a cargo vessel designed to carry fluids only hence does not have sophisticated gadgets and armaments. It ferries under the protection of warships / rocket / missile boats etc. Size of 17000 is not huge considering world's blue water navies. Congratulations Pakistani brother for a milestone achievement! We are with you all the way. Love from Izmir, Turkey. @Ravi : Read the article first before jumping to write comments. Tanker-ships are necessary for fuelling the warships, just like tanker planes required to supply fuel to war planes for mid-air refueling. When will austerity begin in the armed forces? Nice many more yet to come inshallah. Nice pictures. Looks impressive. Now go back to the drawing board and build a much bigger one with a lots of bells and Whistles. This oil tanker was build at Karachi Shipyard. Karachi Shipyard is ruled by Naval officers where as most labors, fabricators, welders, pipe fitters, riggers are old civilian people. So the credit goes to Shipyard's workers, supervisors and Engineers. Great job. IMF is watching where it's money is going. @Ravi Expected comment from a jealous country. 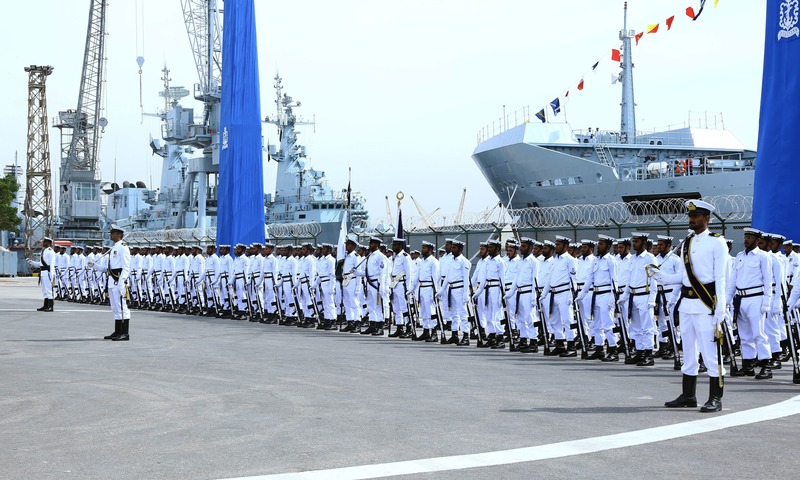 @Ravi - naval ships even if not designed for combat are classified as warships due to military grade non-civilian equipment which can perform duties during a conflict. Not many realize but Pakistan has been moving away from importing weapons and machinery and has a viable indigenous program for building planes, tanks, warships, arms and immunizations. This is another feather in the cap. @Sayyar Khan believe the ship will do the assign duties because it is not an Indian ship. Something good done by previous administrations. Well done Pakistan. Keep up the pace Inshallah one day world would rely on us. We are the most strongest and vibrant nation on this planet I can see brighter picture of Pakistan. @Sayyar Khan It is already floating in water! @Emel noor ..Thank you my brother long live Turk and Pakistan brotherhood. Congratulations to the Engineers and other teams associated with the project.. . With more security threats like pirates operating, this region needs good naval presence. Lets fill it with blood as we dont have money to buy oil. Guys, please work on putting food on empty plates. We dont need this dam piece of steel. Congratulations. Today Pak is producing from needle to ships on own. We must continue on our own save foreign exchange, the temporary deficit will be balanced. Already we are self reliance on food,medicines,clothing, a little more effort will help attain self sufficiency in defence production. The people of Pak are hard working honest and hospitable, no country on earth has honor of caring such a mammoth numbers of refugees on its soil, a wonderful great nation with incredible history. @Sayyar Khan it'll fly. You dont need to worry. @Sayyar Khan, looks like you are learning english. It is already floating and it sails as well, it has an engine and a propeller. @Ravi , My dear if a horse goes to war it is called a war horse. I have never seen a horse spitting out spears or arrows. So when a Oil tanker participate in war as auxiliary ship it is called a war ship. I hope you get the point. Love and Respect. A job well done. @Ravi with Pakistani ingenuity. Our nation knows how to improvise and adapt. A tanker is very important support ship for the Navy. During the 1965 war, the tanker PNS Dacca, kept the fleet supplied with fuel and provisions, enabling the Pakistan Navy to go into Indian waters and bombard Dwarka port. 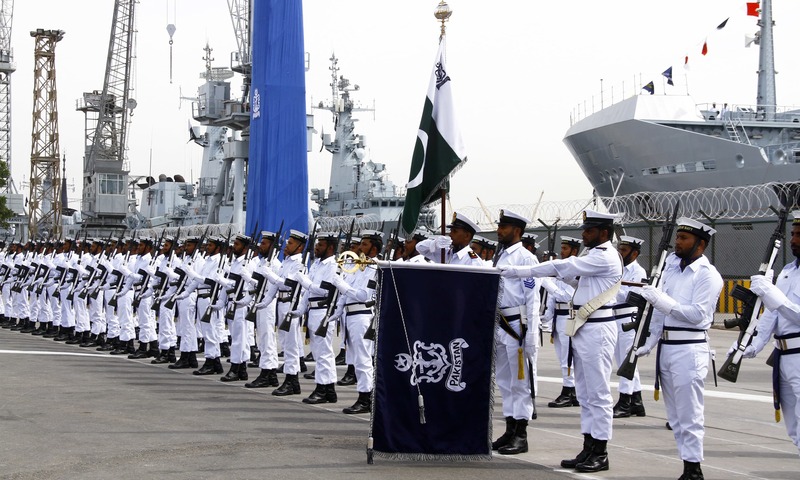 The fleet was then able to return to Pakistan waters and refuel at sea, and continue patrolling to keep Karachi safe. Proud of our Naval engineers, well done you have proved we can build now create an industry to benefit our nation and allies so we and allies can develop our own technologies. Pakistan needs to get all these weapons and supplies in production fast. They can easily grow their defense export to billion dollar next year but mass production is holding them back. This is a display of technological prowess pak. This is certainly going to change the dynamics of the Navy's ability at world stage ! The most powerful and sophisticated ship ever built. Very impressive, well done Pakistan Navy. Looks state of the art. A short video would have done the justice. Long live Pakistan! This is what is great about Pakistan. Starting off slow while staying within our means and building on that. Went from first generation jets to second generation even if the world is at 5th gen (although, this is debatable). Now, with the navy, going from a small helicopter carrier and hopefully, will build on it to carry more helicopters like the one Japan built and then, heading off to the gold standard (aircraft carriers). This is not a tanker like in merchant navy. Its main function is to replenish ships during wartime or peacetime while in sea. It can provide all necessary supplies from oil , water , weapons , personnel, medical facilities , ration. It become a life line for other warships. That is why this is always treated as High Value Unit just like an aircraft carrier . This ship itself is equipped with all air defence systems which inlude long range surveillance radars and point defence systems .Anti submarine weapns such as carrying ASW helicopters. It also carries depth charges and sonars. I am not sure if its equipped with missile systems or not . However , this is a warship by all means. Congratulations and good wishes from India. The technical expertise would help in making adjacent sea lanes more accessible to maritime rescue operations. @Ali Hasan when our nice neighbour stop spending 100 time more than us! Comments from across the border are always welcome...it feels like a long lost friend responding or reacting to something good or remarkable transpiring on this side of the pond. However, to those who leave negative remarks, here is the question: how come Bharat whose existence can be traced back to 'Adam & Eve', continues to buy weapons from other countries? Is there any body out there to answer? @AbdulMajid Khan Pakistan should import anything that it can which is available cheaper in international market and export anything it can offer at a competitive price in international market. @FAISAL RAZA KHAN warships and arms dont make great nation. Than America shud be greatest. Make education and make internal systems strong make peace with neighbors and let all grow that will make nations great. See south korea peaceful with all neighbors and developed their natiin. India pak agghan must study and show to kids this nation growth from very poor to developed in 40years by hard work and honesty. 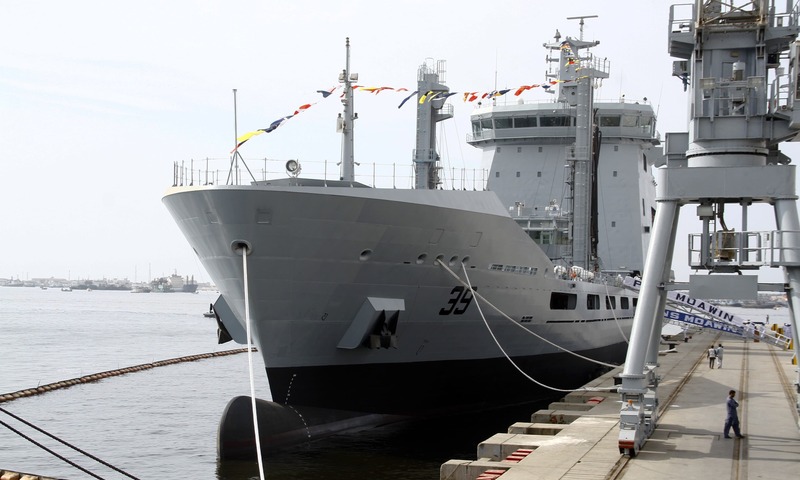 The Fleet Tanker designed and developed by STM for the Pakistan Navy has entered the final phase of the programme. Built under the Turkish Defence Industry’s largest ever single naval vessel export project, the Fleet Tanker has completed its first sea trials. Turkish media claims it exported and they will maintain it aswell. Well done. Pakistan desperately need Merchant Ships such as Cargo Vessels and Oil Tankers.Billions of rupees each year Pakistan paying to foreign shipping companies in terms of logistic charges for transporting goods to Pakistani Ports.Hard earned foreign exchange got from foreign loans, and remittance is being paid to these shipping companies. We must increase spending more on productive things rather than arms amunitions,frigates,tanks ,missiles,fighter jets etc. There should be balance.Pakistan need economical reforms first.Thousands of Pakistani Seaman are jobless due to not having merchant ships.Pakistan Marine Academy each year pouring hundreds of cadets in the market.But only few gets vessels and only on foreign ships.Pakistan National shipping corporation having only 10 vessels and Can not accommodate these cadets.Now Cadets have to wait for 2-3 years for their turn for joining Pakistan shipping company. Many abandoned their career and looks for another profession. Already currently job market is very worst.Market is flooded with jobless Graduate Engineers,Degree holders, are jobless.Now new PTI Govt must consider this issue.We must stop now out flowing of Dollars.Now corrupts are already out so now excuse for development in Merchant Shipping Vessels in Pakistan. I grow up in late 70s and I recall the pride that would envelope me when the “Khabarnama” would report that our Shipyard had just built yet another ship. The real deal was that we were exporting ships; yes, we were fabricating naval ships for other countries, which included, to the best of my memories, China and South Korea who are now leading the ship building industry. The loom and gloom that persisted since then about what would had become of yet another robust institute of ours has slightly eased due to this wonderful news. May our Shipyard become even more thriving then what it was in 70’s and may it contribute to the well-being of our Pakland even more than before. May it act as a beacon of inspiration for our next generations … just like it was for my generation. Well done Karachi shipyard and Pakistan Navy this is a great leap forward , By indigenous construction of such ships we are not only on the way for technology transfer but also saving valuable foreign exchange .Pakistan must go forward and built its own aircraft carrier , warships, submarine and commercial ship of all kind .China and India is already doingthis We should keep in mind these two countries and try to develop like they did. Congratulations Pakistan! Build many more and get hired to police coasts world wide! Bring your colours to the world! @Ali Hasan It started by making the inventory in own country rather than importing. Thanks Brother for the kind words. @Ali Hasan the civilian government has made a start on austerity, all governments departments and this includes armed forces, in the next few years will be forced to make cuts. What good a tanker is for. When entire pak navy can be blocladed easily. And with pakistani economy failing. I doubt the tanker will have enough fuel for itself, let alone carry for other ships. Its better to use it as storage for palm oil pr coconut oil. @Saddique yes bro, We share your sentiment. This is true for a lot of nations actually. @JA-Australia We are not at all worried. We just keep an eye on this country as its a rouge and we need to be vigilant. @AbdulMajid Khan very correct. That’s the only way to grow the economy. I would love to know how much cost? Also how are we subsidizing funds when we are deep into financial crisis? Dont we have enough deterrence for the time being? 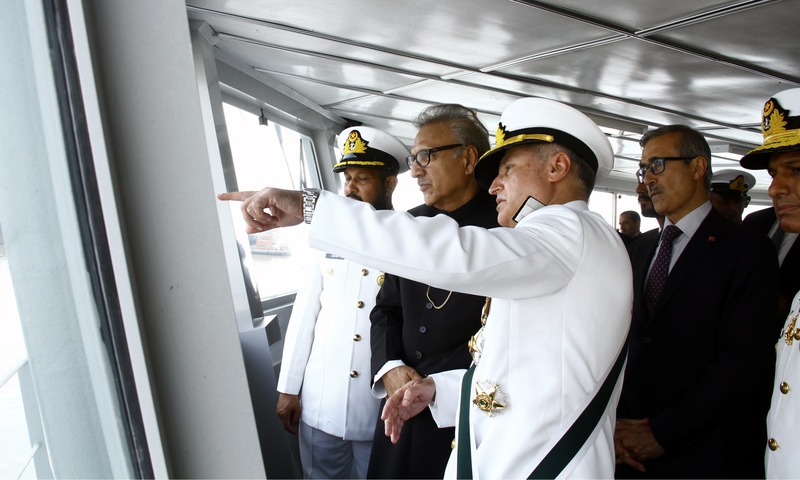 @Muzafar bukhari Ships have been built at Karachi shipyard formany decades, and it is good to see improvement in building technology with the passage of time. It may be interesting to note that Pakistan even has the technology to manufacture railway engines, bogeys, cars, and airplanes but does not have the entrepreneurs to build marketing organizations that would generate the regular business of manufacturing and sale of these products to carry on such undertakings that would generate the capital so essential for this purpose. We are a people so immersed in our bureaucratic activities that we spend our entire talent in that direction rather than in pursuit of science and technology so essential for our existance in today\s world. This an expanding Navy to meet its regional power responsibilities. No one dare cross its path. Good for Pakistan, and hope for peace. Great accomplishment for the Pakistani Navy and the nation as a whole. Glad to see focus in the armed forces shifting to the Navy, as it is a critical component of the nation's defense. With all the turmoil in the country, its economy and politics; its great to see some good news. InshAllah, we can translate this ship building ability to commercial vessels and create a new export sector. We should not post pictures of our new warship tanker online. Enemy nation will gain clues from it. I request all countrymates to follow. Looks like same old ship with some refitting.....anyone from Netherlands can confirm this ? More warships should be indigenously built to create more employment.